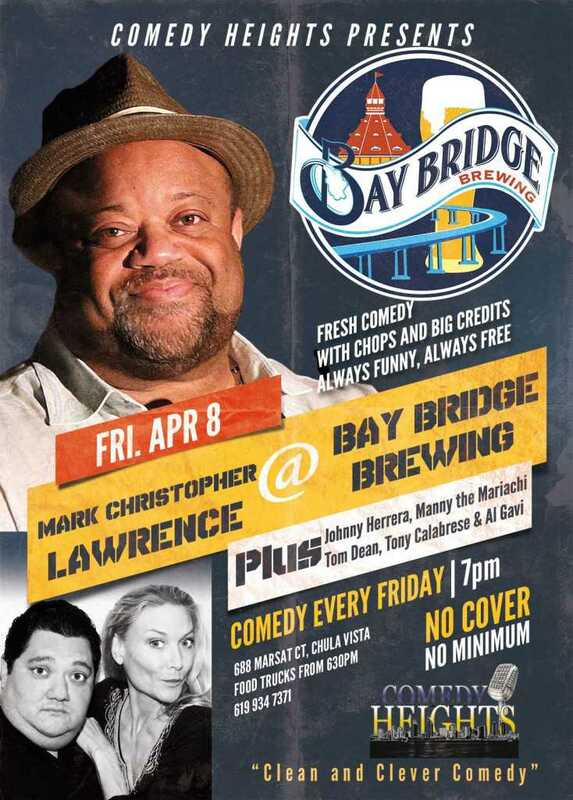 Comedy Heights new Friday venue: Bay Bridge Brewing in Chula Vista boasts delicious brews and eats and NO COVER – NO MINIMUMS and NO AGE LIMITS and PARKING! 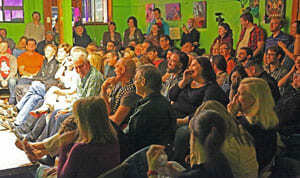 It’s just about the best and easiest show in town. That’s your Friday night covered. This week it’s headlined by the one and only Mark Christopher Lawrence from NBC’s Chuck – plus the ‘hair’ lairious Johnny Herrera .. and special guests Tom Dean and Mariachi Manny Baez. 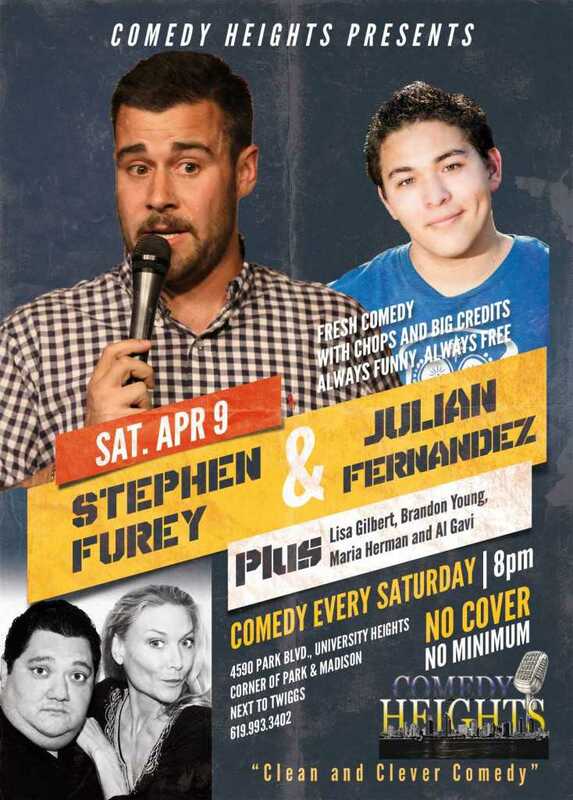 Then Saturday our regular Comedy Heights show at 8pm next to Twiggs has Stephen Furey from Sacramento along with Julian Fernandez from LA – the young man of a hundred voices! 2 very different shows at very different venues but the same high quality comedy show you’ve come to expect from Comedy Heights.